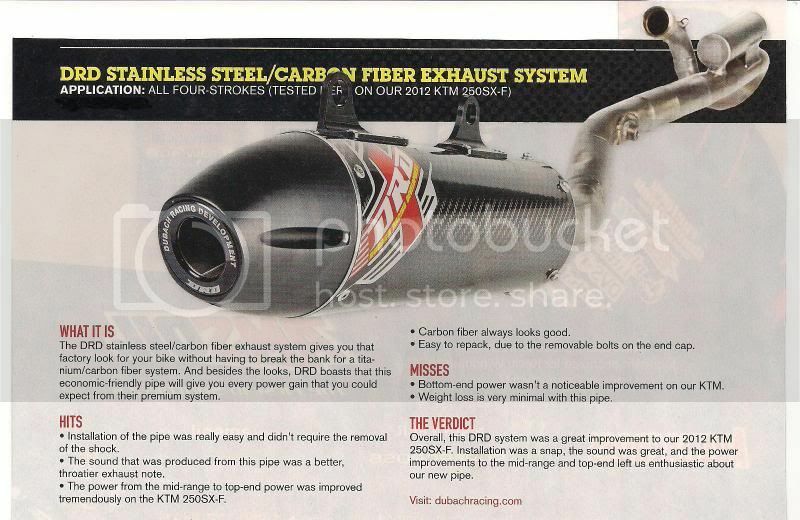 The DRD carbon / Stainless Steel system is designed for racers who intend to use their DRD exhaust only on race tracks. This system, when freshly packed, meets the AMA sound legal requirement of 99dB. This system is only available for 2006-2007 models. The Carbon / Stainless Steel system is basically the same as the Carbon / Titanium system, except Stainless Steel is used in place of Titanium, and is only recommended for the serious racer. This system is the lightest available with all the performance DRD is renowned for. It is easily serviceable in the same way that all DRD systems are designed, and comes with the incredibly high standard of quality you only get from DRD. The Carbon canister should not be run with the quiet insert, and attention needs to be paid to the condition on the silencer packing on a regular basis to increase the life of the carbon fiber.